As summer winds down, help your clients make the most out of these last few weeks of quality family time by sharing these infographics. They focus on reducing screen time and protecting hearing when they do indulge. Vacation travel, barbecues, family excursions . 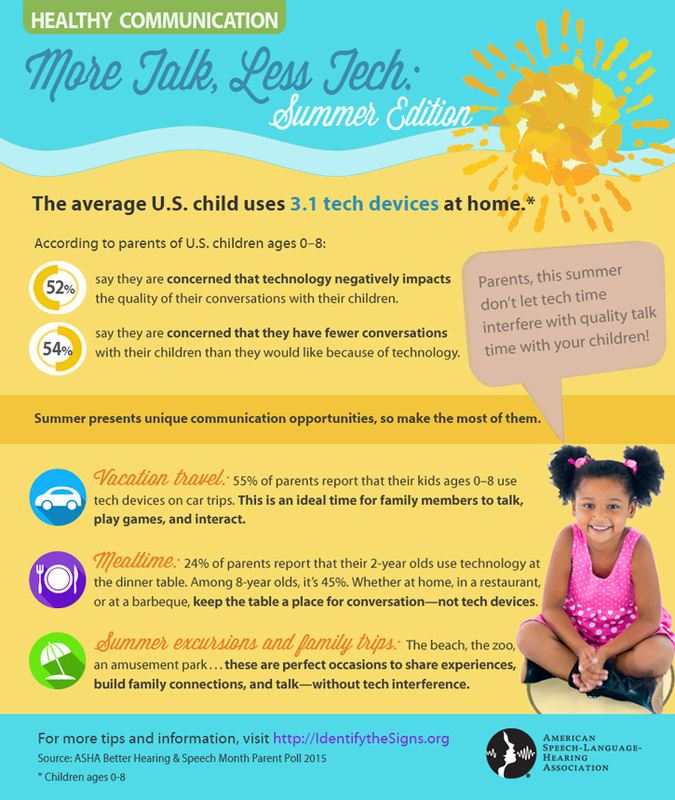 . . summer is full of prime communication opportunities for families. Summer leisure time may mean increased tech consumption. Help clients and families protect their hearing by following three simple safety tips when using tech devices with ear buds or headphones.